There is a public meeting to support Ridley Road Market Traders starting at 5:45pm next Wednesday 5th December at St Mark's Church Hall, Dalston, E8. 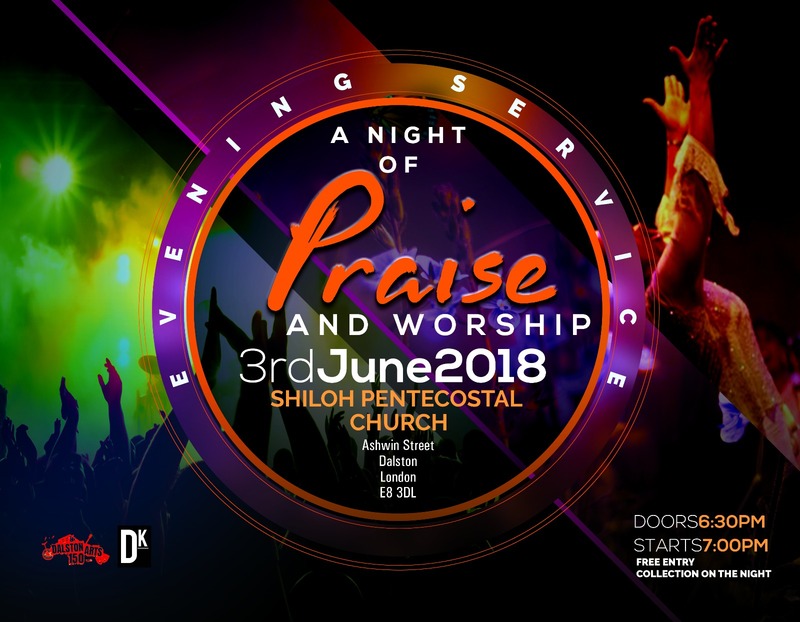 Hear what the traders have to say. Listen to this news item - it nails the story. The treatment by the off-shore developer/landlord is causing the community huge concern - both for the traders and for the future sustainability of the market. Many of the street market traders rely on storing their barrows and stock in the basement and ground floor of the Shopping Village building which is marked for re-development. All of the indoor businesses rely on the existing small affordable trading units on the ground floor. 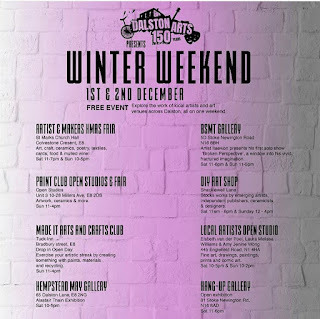 Some 60 local artists rely on the affordable work space on the 1st and 2nd floors. All have been told to get out. Many thousands locally rely on the affordable produce which the market offers. You can contribute to the traders' fighting fund here to help the traders stand up for their legal rights. You can join the thousands who signed the petition here which is bringing the issues to greater public attention. You can send an email objecting to planning@hackney.gov.uk quoting reference 2017/2897 51-63 Ridley Road London E8 2NP . State your opinion on the effect which the development will have on the character of the market and our local identity. Hackney's "Dalston Conversation" - will it become an actual conversation? 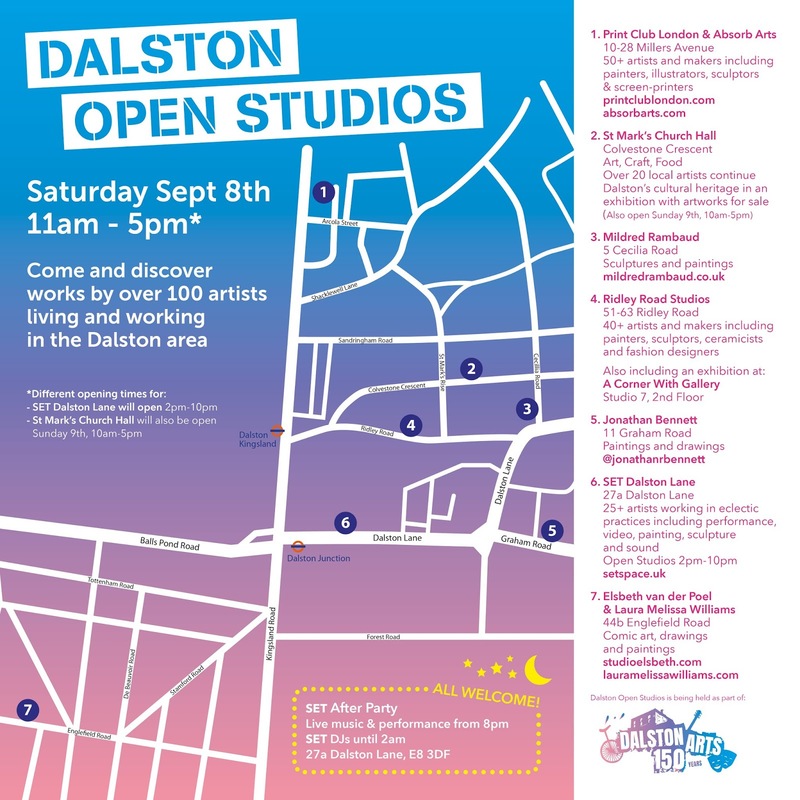 OPEN Dalston has sent written comments to Hackney Council in response to its "Dalston Conversation". What follows is just a nutshell version. You can read our full comments and proposals here. 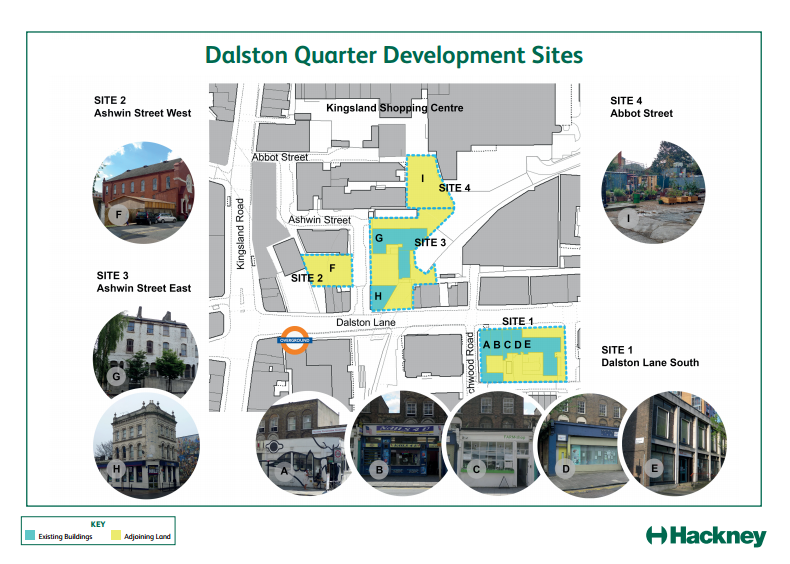 In 2017 the Council decided to dispose of all the sites it owns, in Dalston town centre's "Cultural Quarter", for development and refurbishment. 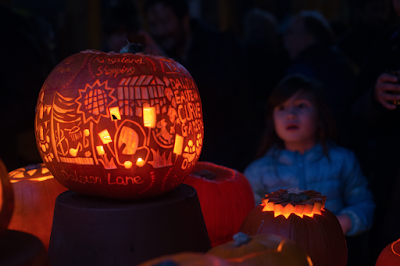 We have proposed that a Development Trust should manage this process with the community's interests and our cultural heritage at its heart. 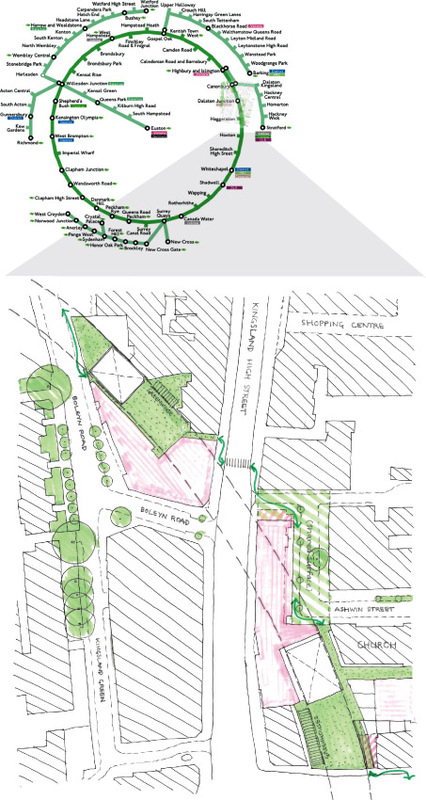 The Eastern Curve Garden is presently designated by Hackney as a "shopping circuit". We propose that its future be secured,with new planning policies and proper land tenure, and by opening up new routes locally to help people get about whilst safeguarding the Garden's character. 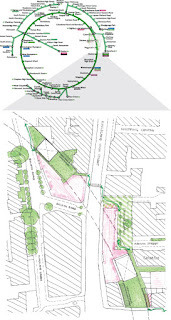 We have identified opportunities for expanding our green space and linking up with new ones. 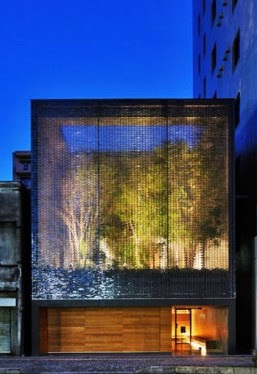 The "Cultural Quarter" environment, particularly Ashwin Street, remains ideal to start this process. We have proposed developing a neighbourhood planning policy, like St Ives in Cornwall, which will restrict the opportunities for absentee owners and buy-to-let landlords to acquire homes in new developments and make them more affordable to local people. We have identified the opportunity to capture and recycle the heat and CO2 generated from the proposed new Crossrail2 underground railway. 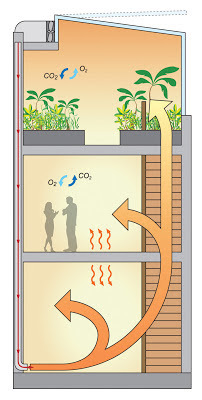 The wasted heat would feed into a network benefitting new homes. Rooftop greenhouse would soak up the wasted CO2 and return it as oxygen to residents. 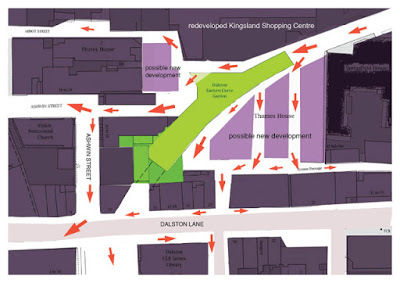 We have also proposed a change for the site of the Crossrail2 Dalston Junction underground station, onto the west side of Kingsland Road, which is less environmentally sensitive.Again capturing waste heat and CO2, we have proposed that the ventilation shafts needed for Crossrail2 underground stations be put to more attractive and good uses. 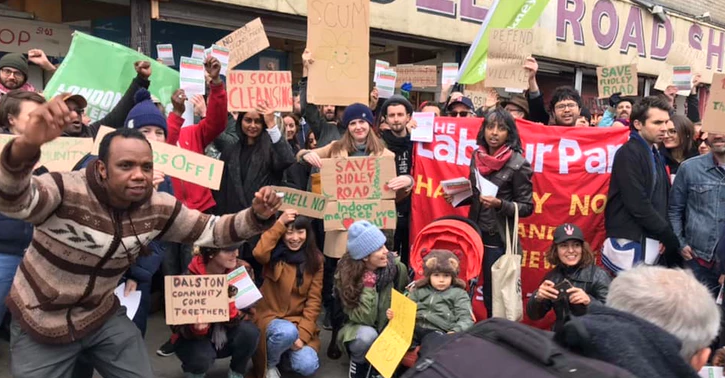 We have proposed the strengthening of planning polices to ensure that development proposals affecting Ridley Road will not compromise the sustainability of the street market and to ensure that adequate traders' storage facilities, and affordable units for small independent local businesses, will be retained. We have also proposed that change from workplace and cultural uses to residential uses should be resisted unless alternative provision is made. 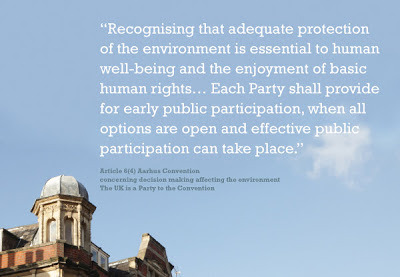 We have repeated these and similar proposals to Hackney Council and the GLA over many years. Despite the numerous public consultations, they have never received due consideration. 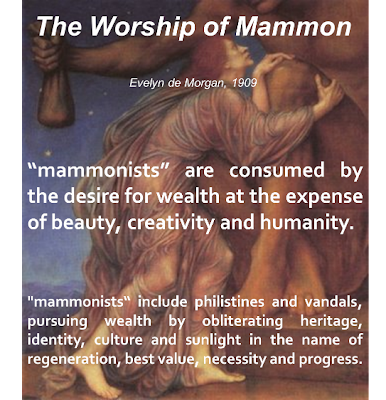 We have proposed there now be a community organised public debate with Council representatives. We hope the "Dalston Conversation" will become an actual conversation and that the community will not just be "consulted" but be given the opportunity to participate in Dalston's future development. 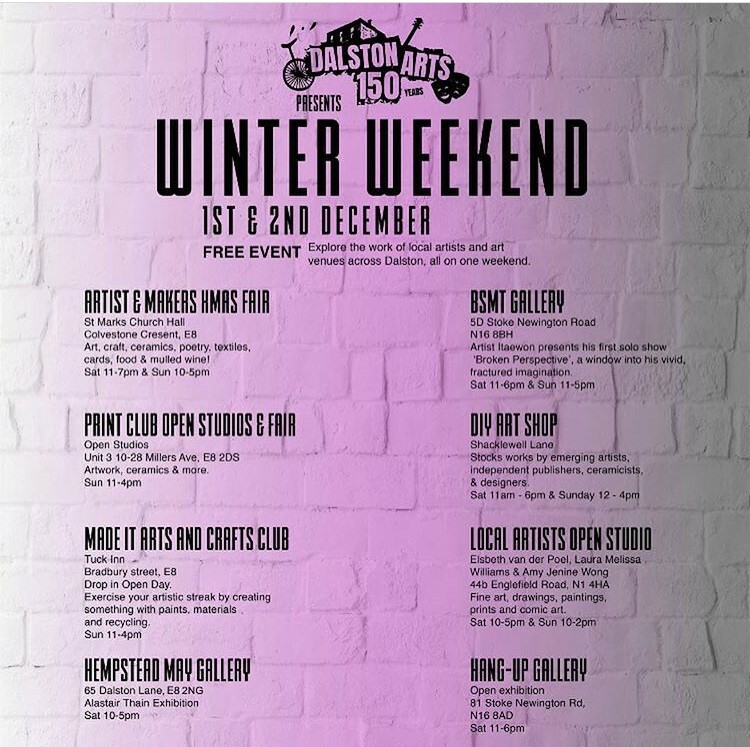 This weekend will see DalstonArts150 celebrations for 2018 end with a Winter Weekend of local artists' open studios and galleries and a very special arts and craft fair. 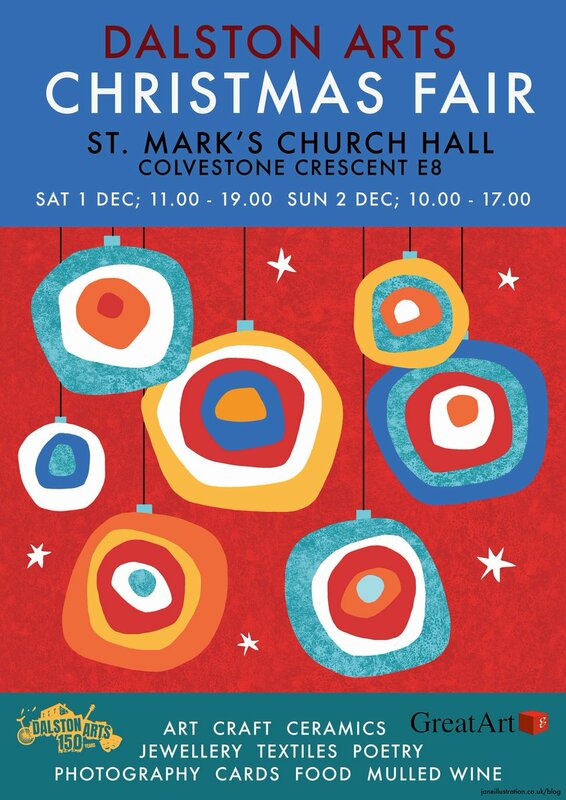 Join us at St Marks Church Hall in Colvestone Crescent to see work by our hugely talented local artists and makers, all of which will be for sale, and enjoy a delicious meal, snacks and mulled wine. 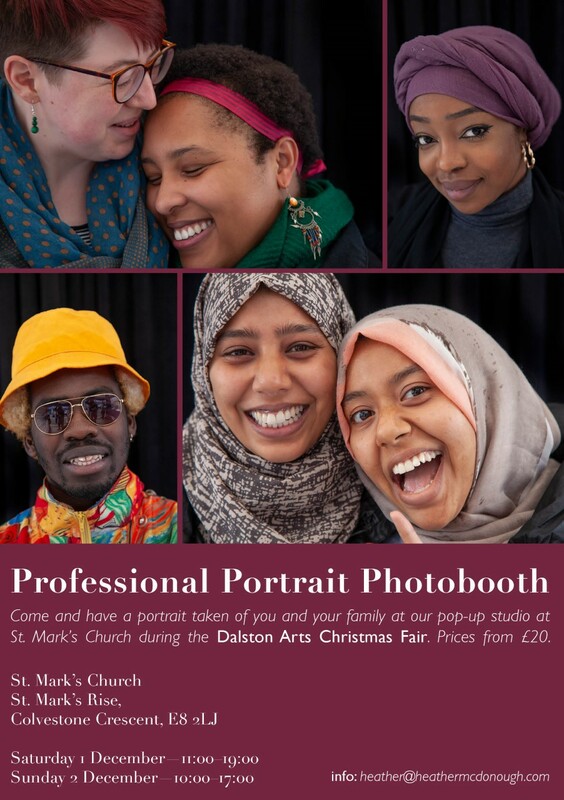 There will also be a professional portrait photobooth at the St Mark's exhibition - so come with your friends or family to capture that special moment. 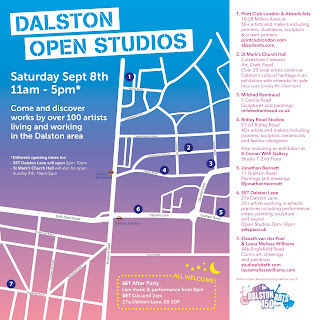 Also over the weekend seven local artists' studios and galleries are opening their doors to the pubic so you can enjoy an aesthetic safari though our streets and speak to the artists personally. 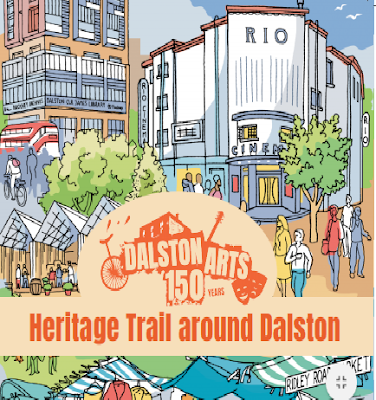 This short film tells the story of Dalston's arts heritage over 150 years and explains why the character, cultural uses and affordability of the area is again under threat from "regeneration"
Has off-shore Ridley Road developer reneged on its promises to Hackney's Mayor? This week solicitors, acting for the off-shore developer/landlord Larochette Real Estate Inc., have written to traders in Ridley Road Shopping Village telling them they have no right to continue trading there and must get out unless they sign up to new terms this Friday. 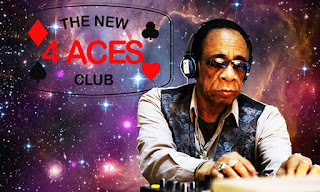 The new terms seek to load traders with additional charges, deny them the protection which business tenants usually have in law, and would require them to leave on 3 weeks notice given at any time in the future. Readers will recall that a fortnight ago, after a vociferous and successful community campaign, traders in the Ridley Road Shopping Village had won a reprieve from mass eviction by Larochette Real Estate Inc.
How do the landlord's current actions fit with the promises its UK representative, Rainbow Properties Ltd., made when it met Hackney's Mayor? On 30th October Hackney Mayor Glanville released a statement following that meeting. He said "Rainbow Properties was positive and they reassured us that they will...honour traders' leases and that similar, affordable provision will be included in their planning application." Ridley Road not only provides a living for its market traders but a source of affordable food and goods for thousands in our community. The Shopping Village building also provides essential storage for the Ridley Road market's street traders. 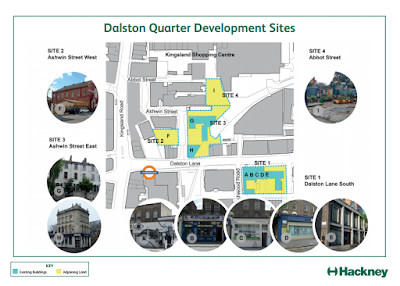 Larochettes redevelopment plans, combined with the Council's own plans to redevelop market stores in Birkbeck Mews, is putting the survival of Ridley Road market at great risk. What could be motivating such high-handed behaviour?